In no way should you be permitted to teach about your religion in schools in any aspect or manner, EVER. Your religion is a personal choice and has nothing to do with education! Please do not push religion onto students at a public school. Your goal should not be to show them Christ. Your goal should be a good education without any religious bias. Any time I put faith/religion and public schools in the same post here at Teach 4 the Heart, I get a variety of comments like these ones by Abe & Kayley. Some are nicer than others (Abe also compared “scary Christian zealots” to Nazis and Charles Manson), but their point is the same – not only is religion not allowed in the public schools, but it would be wrong to include it. Notice that there are two different things being discussed here. Not only what is legal but what is right. Next week we’re going to going to get into the nitty-gritty of what is legal in a public school and what is not, and you might be surprised how much religion actually is allowed in the public school classroom. But before we get there, we have to answer the very real question about whether or not religion should be allowed in the public schools. In other words, is it right, moral, or ethical to bring the topics of religion or God into the classroom? Now we can easily understand why unbelievers may answer with an emphatic NO! But often well-meaning Christian teachers also get drawn into believing that their God has no place in public life. And many more are, at best, confused about the whole thing. Typically, these Christians teachers (maybe you’re one of them) have two big concerns about religion in the public schools. They are 1) the restrictions of separation of church and state and 2) the idea that public schools should be neutral. 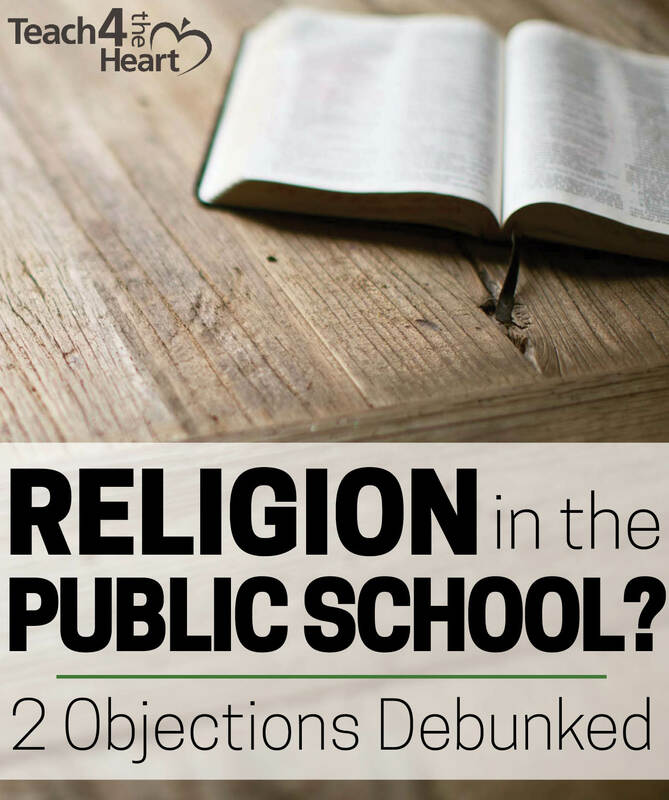 Let’s dive into each of these objections with the goal of answering not whether or not religion is allowed in the classroom (we’ll get to that next week) but if it should be. Sorry, I know that’s blunt. But those who argue this way simply don’t know their history – or what the first amendment says. So here’s why this argument doesn’t hold water…. The First Amendment says nothing about keeping religion out of the government. In fact, it guarantees the free exercise of religion. As you can see, the First Amendment says nothing about separating church and state. Instead, it tells Congress that it cannot pass any laws that prohibit religious freedom in any way. It 100% guarantees religious freedom. But what about when it prohibits Congress from “respecting an establishment of religion.” That’s where it’s saying church and state have to be completely separate, right? You see, this phrase originally meant that the U.S. government is not allowed to establish a state religion or to favor one denomination over the others. Remember that in England the Church of England was the official state church. 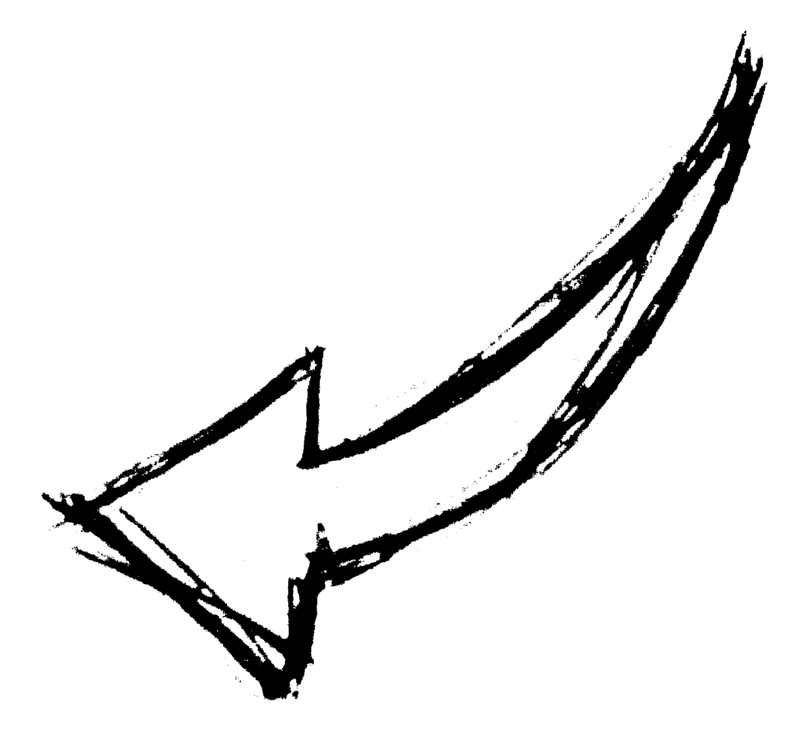 And many colonies had even established their own official denomination before they became states. Since Christianity was widely believed and practiced by the majority of the population at the time our nation was established, many were hoping that the government would, indeed, establish Christianity as the official religion of the country. But as you can imagine, each denomination thought that their particular brand of Christianity should be the official religion. Which, in fact, would infringe on the religious liberties of everyone else. Our Founding Fathers foresaw this problem. And because they believed religious freedom to be an inalienable right – given by God and which the government would never have the right to take away, they guaranteed not only that the government wouldn’t prohibit the free exercise of religion but also that they would not play favorites with any particular established religion. So where did “separation of church and state” come from? I’m glad you asked…. The phrase “separation of church and state” first appeared in a letter written by Thomas Jefferson, in which he assured the Danbury Baptists that the government would never interfere with the free exercise of religion. *So when Jefferson wrote back to the Danbury Baptists, he used strong language to assure them that the federal government would never interfere with or limit religious freedom. Believing with you that religion is a matter which lies solely between man and his God; that he owes account to none other for his faith or his worship; that the legislative powers of government reach actions only and not opinions, I contemplate with sovereign reverence that act of the whole American people which declared that their legislature should “make no law respecting an establishment of religion or prohibiting the free exercise thereof,” thus building a wall of separation between Church and State. Oh how sad he would be to hear how his words were misinterpreted & twisted by the Supreme Court in the past 70 years. When taken in context and compared with his other writings, there can be no way to believe that he meant that government should forcibly keep religion out of its schools. The Founding Fathers clearly intended that religion (and Christianity in particular) be openly taught in the public school system. Our early leaders not only relied heavily on the Bible for the writing of the Constitution but they also integrated it into almost every aspect of the government and the public sphere. A quick tour of Washington, D.C. will reveal Scriptures engraved on almost every building and prominently depicted throughout the Capitol. And it wasn’t just a formality. The Founders believed that religion – and the Bible in particular – were absolutely necessary for a free society to function. 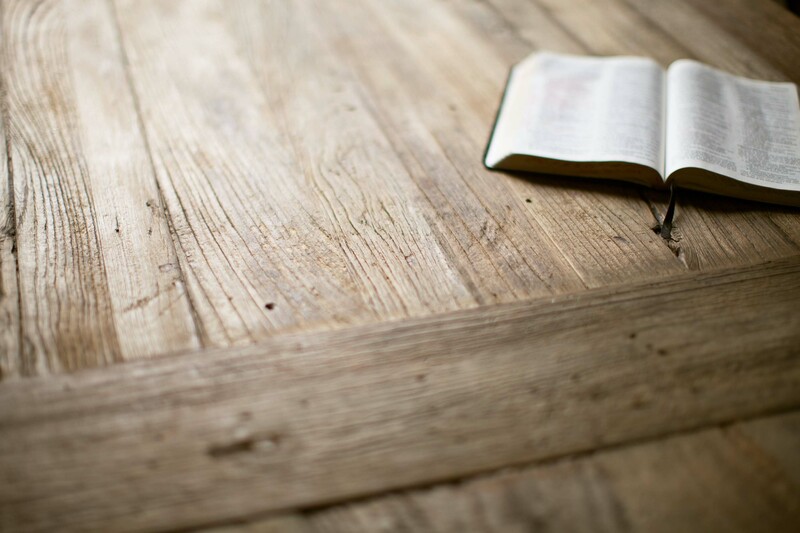 They had no qualms about reading the Bible, talking about it, discussing it, and even using it to impact public policy. Furthermore, they prayed extensively and even held church services in the Capitol. Can it truly be a surprise, then, that they also believed that religion was an important part of a public school education and that the Bible must be taught in schools? In fact, they believed the public schools must focus on three areas: religion, morality, and knowledge. That if religion was removed, morality would tumble as well. And that without religion and morality, knowledge alone would be dangerous.Never heard this before? Don’t take my word for it. Let’s hear it from their own mouths…. Clearly if the founding fathers believed religion was key curriculum in the public schools, they did not intend the First Amendment to keep it out. For now, we’re discussing not what is allowed by what is morally, ethically, and historically right. And the point is that there’s absolutely no need (or viable grounds) to object to religion in the public schools because of the separation of church and state. p.s. The First Amendment is a wonderful piece to have your students memorize in history class. It’s simple, short, and vital for them to know & understand if we intend to keep all the vital freedoms it protects. Objection #2: Public schools are supposed to be neutral. Whenever I talk about being a testimony for Christ in the public school system, I inevitably get pushback about how public schools are supposed to be neutral. Now we could spend time arguing (based in part on what we have already discussed) that this premise actually isn’t as airtight as so many think. But for sake of time, let’s just go with it and assume that public schools, indeed, should be neutral. So here’s the question: Is it truly neutral to completely ban any reference to religion? To censor any discussion of a topic that is so integral to the proper understanding of history, literature, and even our own culture that to remove it is to leave an obvious hole? No, that’s not neutral at all. Stick with me for a minute. In schools we try to teach students how to be good learners, good citizens, and (one day) good employees, business owners, parents, and bosses. And it’s not just about academics. We also want them to be kind, fair, honest, ethical, and understanding. But if God & religion aren’t allowed into the picture, then we’re saying that we can teach students to be good without God. That we don’t need God to be moral. That we don’t need God to have a fulfilled life. And that, my friend, is the very definition of secular humanism: the belief that humanity is capable of morality and self-fulfillment without belief in God. Secular humanism is its own belief system, and thus certainly not neutral. But secular humanism is its own worldview, or way of seeing things. Its own philosophy, its own belief system, or “religion” if you will. Secular humanism is a lifestance…a body of principles suitable for orienting a complete human life. As a secular lifestance, secular humanism incorporates the Enlightenment principle of individualism, which celebrates emancipating the individual from traditional controls by family, church, and state, increasingly empowering each of us to set the terms of his or her own life. Secular humanists hold that ethics is consequential, to be judged by results. This is in contrast to so-called command ethics, in which right and wrong are defined in advance and attributed to divine authority. “No god will save us,” declared Humanist Manifesto II(1973), “we must save ourselves.” Secular humanists seek to develop and improve their ethical principles by examining the results they yield in the lives of real men and women. But neutral? Most certainly not! The public school system is steeped in secular humanism. It is ingrained in the curriculum, the culture, the language. And it is not neutral. My point is that if we could truly just not talk about God and thus be neutral in the public school, then maybe that idea would be worth debating. Instead, students are being indoctrinated into a secular humanistic worldview. They are being taught a belief system. And as if this mockery of neutrality were not enough, to make matters worse, the belief system they’re being taught is 100% untrue. Because the system certainly isn’t. And if we try to be “neutral,” what we really are doing is embracing and furthering the cause of secular humanism. We’re participating in the indoctrination, helping to shove an untrue and dangerous belief system down our students’ throats. It’s simply impossible to be truly neutral. So maybe we should stop trying. So where does this leave us? Am I saying you should get up in your classroom and start teaching students that Jesus is the only way to heaven? Absolutely not – not unless you’re looking for a creative way to quit. We just needed to clear these arguments out of the way so we can talk next week about the legal & ethical ways you are allowed to bring up God and religion in your classroom. Hopefully now we can talk without any lingering doubts in the back of your mind that by bringing up religion you’re somehow being a “scary Christian zealot” somehow comparable to the Nazis and Manson. Because you most certainly are not. Know other teachers who are struggling with these questions? Share this article with them now! Your podcasts are very enlightening and informative. I have learned so much from listening to these. Thank you for sharing this! I somehow doubt you would want a Buddhist or Muslim teacher pushing their religion in public schools. But by saying that religion belongs in public school, you are either approving this – which is anathema to Christianity. Or, you want to push only your faith, and exclude others, which is discriminatory. It’s sad to see your good strategies clouded and overwhelmed by your worldview. I’ve been forbearing, but this drivel pushed me over the top. I unsubscribed. I encourage you to stop back next week when we talk about HOW to discuss religion. I’m not saying to teach that Christianity or any religion is true – that is not allowed. But to teach about religion is a worthwhile academic pursuit and opens doors for students to seek out answers for themselves. Do you not doubt that a Christian doesn’t want a Humanist teacher just as much as he doesn’t want a Buddhist or a Muslim teacher. Humanism permeates the government public school curriculum, is this not discriminatory? Every argument you use to exclude Christianity or Buddhism or Islam can be used against the reigning discriminatory Humanist belief system that dominates the taxpayer funded public schools. I think you missed the point in the article. WOW! Best article ever. I don’t know how I’d get through my days as a teacher without your blog. THANK YOU and God bless. Very well said. May God bless you and the great work that you are doing. May he enlighten you each day more with the gifts of the spirit so that his light may keep on shining through you. A principal of mine shared a blog of yours with me and let me say it has been helpful. I do not completely agree with everything I see, read, or hear; but I certainly see God’s hand at work here. God bless you, and above all Jesus loves you. All glory and thanks be to the father (and God) in the name of Jesus. Amen. Keep fighting the good battle of faith through Christ who strengthens us. Very insightful article. It always amazing me that those that greatly tout tolerance are intolerant toward religion. Religion, overall, as a study of history and the humanities is one thing I approve of, Islam, Christianity, Judaism, Hinduism, etc. However, your agenda is to extend the tentacles of Evangelical Christianity in public schools. I work with currently, and in the past, public school teachers that are devoted to their Christian religious beliefs. That is their right. However, they do not have a right to “give testimony” in their classrooms. My only agenda in this post is to debunk these common objections to religion in the public school. I hope you’ll join us next week when we’ll be diving into exactly what is and isn’t legal and what teachers’ rights actually are. “teach (a person or group) to accept a set of beliefs ‘uncritically’. Really? A strong statement with nary body of proof. The content taught may contradict your worldview, but that doesn’t make it indoctrination. One could easily claim the same of religious schools. In fact, even more so. I understand you did not attend, or have ever taught, in a public school. Therefore, your credibility on this subject is highly suspect as you don’t even have personal experience. Me thinks if any indoctrination has taken place, a look in the mirror might be in order. Also, because something was done along ago, doesn’t mean it should still be done. The Founders also believed in owning people as property. While I hold many of their principles in high regard, I understand they were humans that had flawed believes and thinking just like the rest of the human race. Christian schools are absolutely designed to teach students a certain set of beliefs. This is not underhanded or hidden in any way. It is what parents sign up for when they enroll their students. Any Christian school worth its salt will certainly not teach its students to accept these beliefs uncritically, though. They will learn why and how they are true and even examine contrary evidence. But many public schools certainly are teaching secular humanism – in many cases without even realizing it. Take a look at the points underneath secular humanism and see if that is not the worldview that is being spread in the public school. And, yes, I called it indoctrination because students aren’t being taught to examine this worldview critically. It’s simply what is accepted as scientific and true. For example, students are taught that a value statement (i.e. the belief that something is right or wrong) cannot be a fact but is always an opinion. This comes right from the secular humanistic worldview and is certainly in direct opposition to a Biblical worldview. Yet, this idea is not debated but simply taught as fact (ironically).